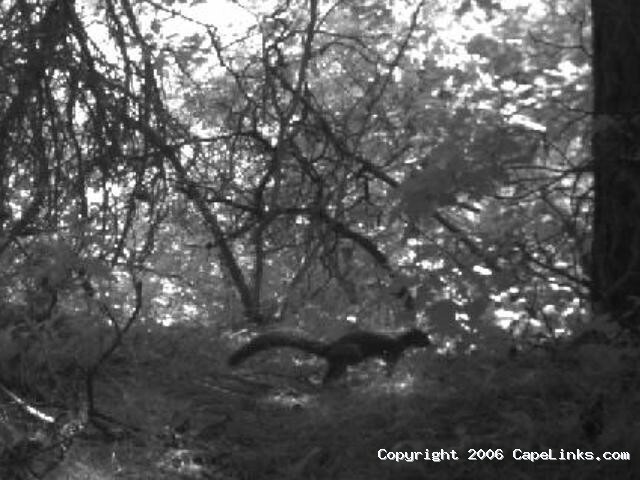 A grey squirrel makes his way across the trail camera’s view. It’s rear legs are right in the center of the deer trail as the camera catches the action. Squirrels are very prevalent on Cape Cod. Both grey and red squirrels inhabit the Narrow Land. This image has been viewed 7911 times and no comments have been submitted yet. You may leave a comment about this image. You can also view more Nature and Cape Cod images or learn more about Cape Cod.